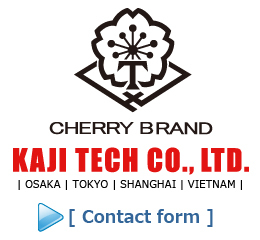 Archive List for Press Releases | KAJI TECH CO., LTD.
KAJI TECH CO., LTD. | This page contains Company press releases for the past 2 years, listed in chronological order. Kaji Tech head office(JPN) participated in a trade show called Première Vision in Paris from September 19 to 21th. Kaji Tech head office(JPN) participated in a trade show called “CBME China 2018 – Children Baby Maternity Expo” in China from July 25 to 27th. Please visit us when you join the show. Kaji Tech head office(JPN) participated in a trade show called Japan Hobby Show in Tokyo from April 26 to 28th. Kaji Tech head office(JPN) participated in a trade show called Saigon Fabric in Vietnam from April 11 to 14th. We have been chosen Première Vision Fabrics’ trend area “STYLE FOCUS”. The trend area “STYLE FOCUS” is a selection of fabrics and accessories to create fashion silhouettes for transversal space, women’s, men’s and casual markets showing PremièreVision style beliefs. Please visit us when you join the show. Kaji Tech head office(JPN) participated in a trade show called JIAM (Japan International Apparel Machinery & Textile Industry Trade Show) in Osaka from April 6 to 9th. Kaji Tech USA participated in TexWorld from Jan 24th to 26th at Javits Center in New York City.